Bloom Organic cleanser is a really gentle hydrating cleanser with no added detergent that removes even the most stubborn mascara. 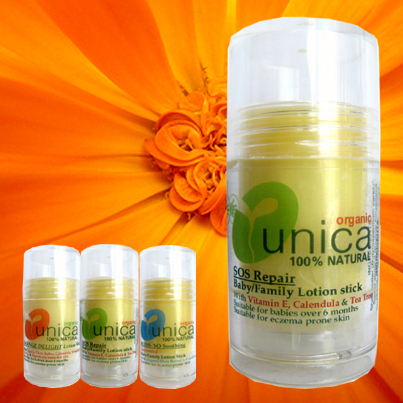 A totally natural blend of oils and floral water that proves that all you need is pure plant power. 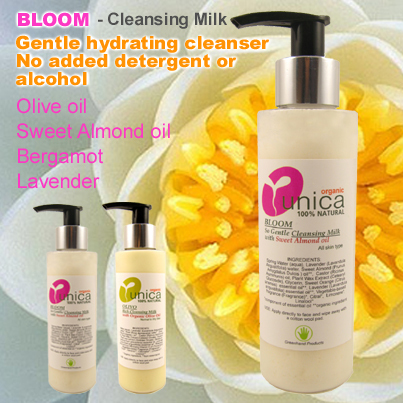 Unlike detergent or alcohol based cleansers, Bloom won't dry out or irritate your skin and. With luxurious buttery texture, Bloom hydrates while cleansing, leaving your skin soft and supple. Naturally scented with Bergamot and Lavender essential oils. SKIN TYPES: Suitable for all skin types, including sensitive, delicate & problem skin..
USE: apply directly to face and wipe away with a cotton wool pad. 'Let a nundred flowers bloom'. Renowned for its naturally softening and soothing properties, sweet almond oil has been use since antiquity and is a classic oil for gentle skincare. It's one of the least stimulating oils, so it can be safely used on even the most sensitive skins.